Dematic has expanded its solution set to include AutoStore, the ultra-high density goods-to-person piece picking system, giving omni-channel businesses the opportunity to quadruple their storage density for fast order fulfilment. 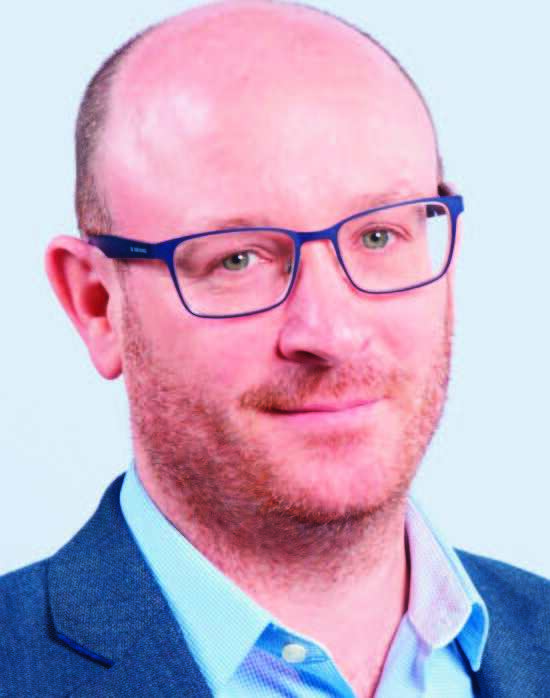 By Daniel Aspin (pictured), Sales Lead at Dematic Northern Europe for AutoStore and James Smith, Business Development Manager at AutoStore. Whereas traditional shelving layouts are designed for people, wasting space with aisles and walkways, AutoStore offers a highly compact and cost effective storage and order picking system for small items and packages, accessed and served by a fleet of intelligent robots. The robots themselves are independent units, battery operated and controlled by WiFi under the command of the AutoStore control system, with the content of the bins managed by Dematic iQ software or customer specific WMS software. Each robot has two sets of wheels that enable the intelligent machines to traverse the grid and access any bins, as required. Every robot is equipped with a hoist that allows the machine to pull out lower bins in the grid, which in larger systems may be 5.4m below the surface. As the bins come in two sizes – 649mm x 449mm base by 330mm for a high bin and 220mm for a low bin (designed to take a 600mm x 400mm box) – the maximum stack is either 16 or 24 units, depending on the size of bin. Although digging down takes a little longer, the clever ordering of the system places fast moving items nearer the top, with slower moving products gravitating towards the lower levels. This makes AutoStore particularly attractive to businesses with a large number of SKUs as the Pareto principle will tend to prescribe that the top 20% of fast movers will be on top of the matrix. AutoStore appeals to a wide range of industries and has been installed across businesses involved in apparel, hobbies and sports equipment, jewellery, pharmaceuticals, parts centres, electrical components and electronics, sanitation supplies, paper and packaging and a host of eCommerce and web shop applications. 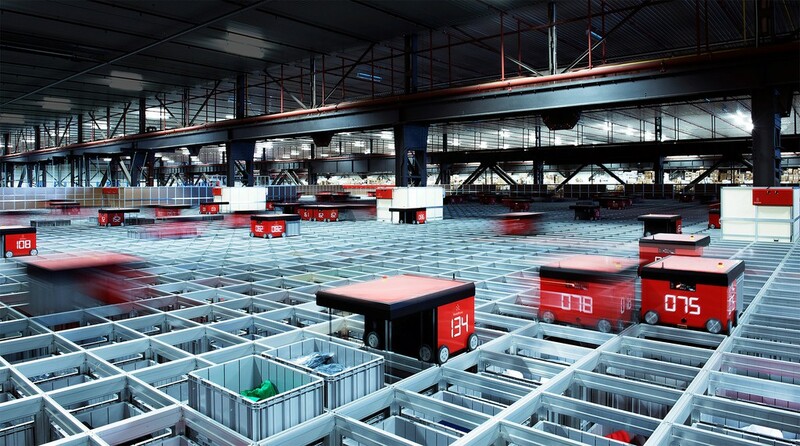 One e-fulfilment business in the Netherlands gained 75% more storage capacity per square metre following the implementation of an AutoStore system with 30,000 plastic bins. The company now works four times as efficiently as before and has a significantly reduced error rate. Security can also be an important consideration for many businesses. As humans cannot easily access product in an AutoStore grid – as there are no open shelves and walkways – the system is inherently secure. What’s more, power consumption is low too. Ten robots use the same energy as one vacuum cleaner, and unlike people, they don’t need lights. Built-in redundancy is another big plus factor for AutoStore, particularly when compared to AS/RS and other more traditional automated solutions for feeding goods-to-person systems. If a crane goes down, that’s quite a problem. However, if a robot develops a fault it can be simply taken out of service and its task will be taken over by another robot – so essentially no, or little, downtime. Businesses looking for a step-change in performance from their existing manual operations may well find AutoStore the best all-round solution – without having to move or extend the warehouse. AutoStore is an important addition to Dematic’s wide portfolio of automated storage solutions for supporting goods to person piece picking operations.